One of the most important things you can do to protect the natural heritage and future biodiversity of the country is to Save Our Forests from being sold. The government is planning a mass sell off of the remaining publicly owned forest land and there are a lot of us who thinks that’s wrong. We believe our forests are our natural heritage and it is in the public’s greatest interest to keep it that way. Maybe some of our forestry land isn’t managed well in terms of biodiversity (as some “mono-culture” farmed pine plantations could be deemed) but it has its benefits in providing a source of timber to our construction industry among others. Maybe some of these pine plantations could be harvested and replanted with native deciduous woodland to start the long road back towards an ecologically sound and biodiverse environment – beneficial to both wildlife and humanlife. What ever happens – I would rather they stayed as public owned lands so that WE can decide how they could be managed and not a foreign energy company, a rich landowner expanding territory, a leisure developer for shooting rights or holiday parks. If you feel the same way – sign the 38 Degrees petition then go here to find out how to contact your MP and what you might like to say to them. As you can see I got a bit narky and the reply from the MP wasn’t at all helpful. Maybe you’ll have better success with better advice. Thanks Sandie – Your support and continuing to pass on the message is appreciated. on January 15, 2011 at 19:37 | Reply Phoenix C.
I appreciate all the work you have been putting into research and such useful and informative tweeting links about this, you are a real inspiration. And I appreciate how much work HOOF, the Public and Commercial Services Union and the Forestry Commission Trade Unions have put into this a long time before me. They are great sources of information if you’re starting your own local campaign. 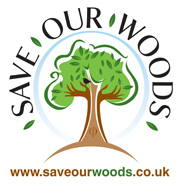 I agree, we can’t afford any good alternatives to public ownership of the forests (eg communty forests or forests in the hands of charities would be good options but overall there isn’t enough money in the right hands for this to happen). I’ll be blogging again on this topic soon. It’s true, Juliet, options for “right” purchasers seems very limited. Here’s hoping we can prevent this sell-off. I see the issue made the newspaper review section on the Andrew Marr show this morning as (shock horror) the forests sold of already have had public access restrictions placed on them. Hopefully that kind of airing will help the cause. Ah, yes. Am in contact with them – HOOF representatives are off to Parliament on Monday to voice concerns over the Public Bodies Bill.